*All offers to well qualified customers with approved credit through Southeast Toyota Financial Services with $0 security deposit. 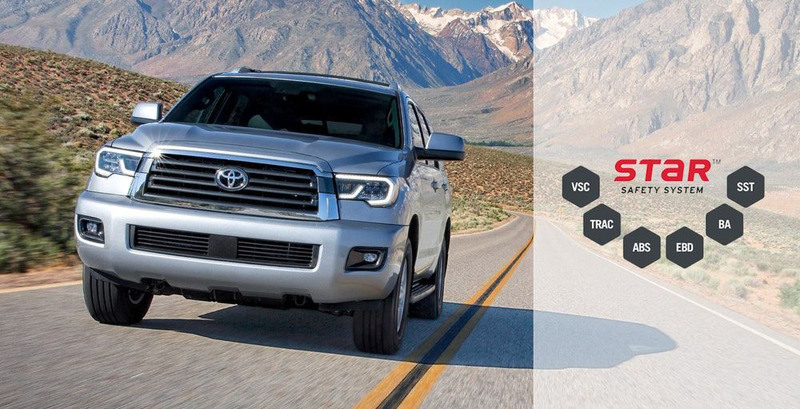 36 month lease examples based on Remaining New 2018 Toyota Sequoia Limited # MSRP $60,738 with 10000 miles per year. Includes all qualifying lease cash and incentives including owner loyalty if applicable. ALL lease offers plus $899 dealer fee, $795 bank acquisition fee, tag, title and doc fees plus first payment. $0 lease requires additional down payment of $3,995. **$0 down payment lease option monthly payment $0 available with approved credit. See dealer for complete details. Promotional offers expire March 30, 2019. For the owner that needs uncompromising power and space to go where other SUVs can’t, the Sequoia delivers. Whether you’re loading up your car or attaching a trailer, or both, the 2019 Toyota Sequoias powerful engine and available all wheel drive is up to the task. 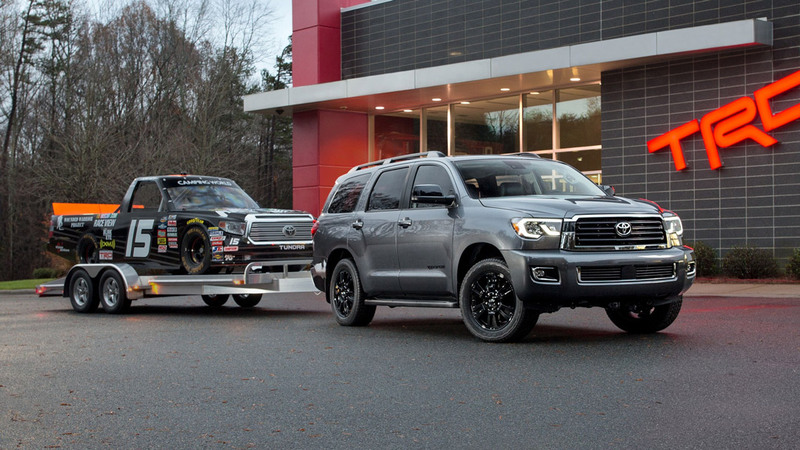 The 2019 Toyota Sequoia is powered by a 5.7- Liter V8 with Dual Independent Variable Valve Timing that produces 381 hp and 401 lb.-ft. of torque. This engine is paired with a 6-speed electronically controlled automatic transmission that is also programmed to intelligently shift on uphill/downhill drives, as well optimize shifts with the included TOW/HAUL mode. The Sequoia is a powerful, large SUV with enough seating for your family, enough space for all their stuff, and enough power to still tow a trailer with camping gear for the weekend. The Sequoias interior comes with seating for either 7 or 8 passengers and offers them a world of entertainment. The sequoia features available rear-seat Blu-ray Disc player with two wireless headphones, a rear seat console with controls to climate, three 12V auxiliary outlets, plus a 120V AC power outlet on the Platinum Sequoia. All in all, the interior of the Sequoia is a great place to be whether you’re in the first row, or the back 2 rows. 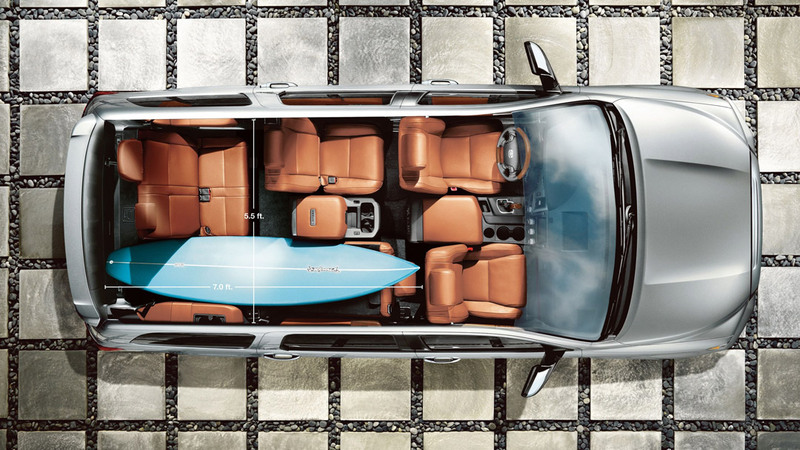 As with all SUVs, the Sequoia takes cargo space very seriously. For that reason, the third row seats feature fold-flat folding seats that give you more space to load groceries or bags, and the second row also features 40/20/40 folding to accomodate any kind of longer cargo like surfboards, plywood, etc. You also have the option to just fold all the seats flat, in which case you’ll have around 120 cu. ft. of cargo space. 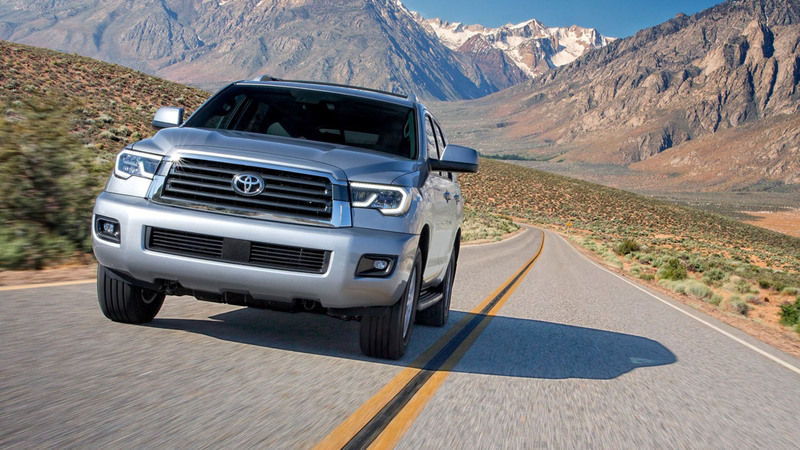 The 2019 Toyota Sequoia has a towing capacity of up to 7400 lbs which it accomplishes rather easily thanks the included TOW/HAUL Mode that modifies the Sequoia’s transmission to prefer lower gears to give you additional power whenever you need it. You also have an optional Adaptive suspension which makes it much easier to modify ride height depending on a change in load. 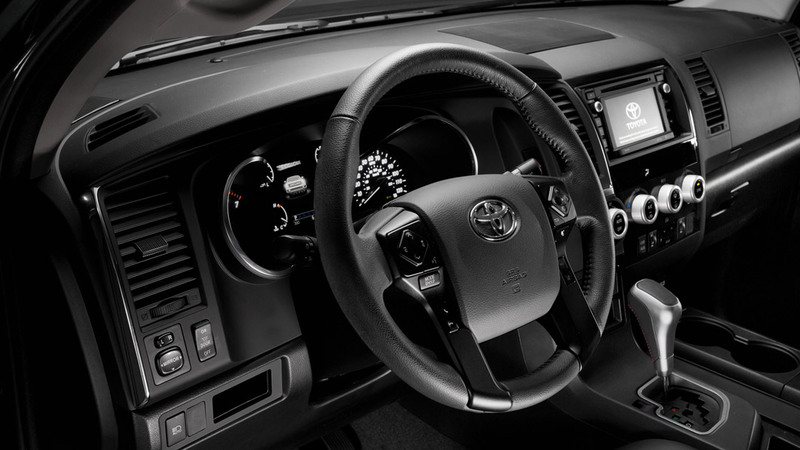 Toyota Star Safety System , Toyota Safety Sense , and you have an optional Blind Spot Monitoring system with Rear Cross-Traffic Alert. The Sequoia also features all LED lighting including DRL and fog lights, that make driving in almost any condition a lot safer by providing a significant amount of visibility.